Capital's Grand In The Sand Final 2015! 9. Capital's Grand In The Sand Final 2015! 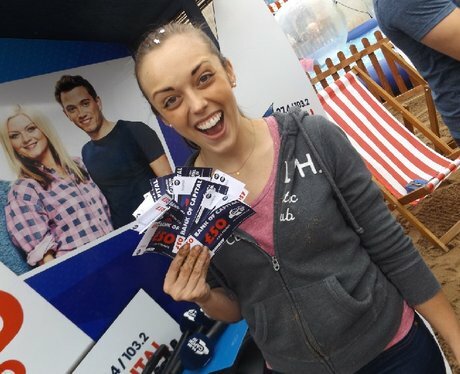 So after 6 weeks of searching for amazing selfies with our Capital MPG beach hut, we selected 8 of the best entries & invited them down to our live final at Cardiff Bay Beach! Who was the lucky winner who bagged that cheeky £1000?! See the full gallery: Capital's Grand In The Sand Final 2015!